Hi guys! Happy Friday to you! Do you have any big plans for the upcoming weekend? Some type of sickness is running rampant in my house, and now I have it. Unless I suddenly start to feel better, I am just going to spend the entire weekend in bed. 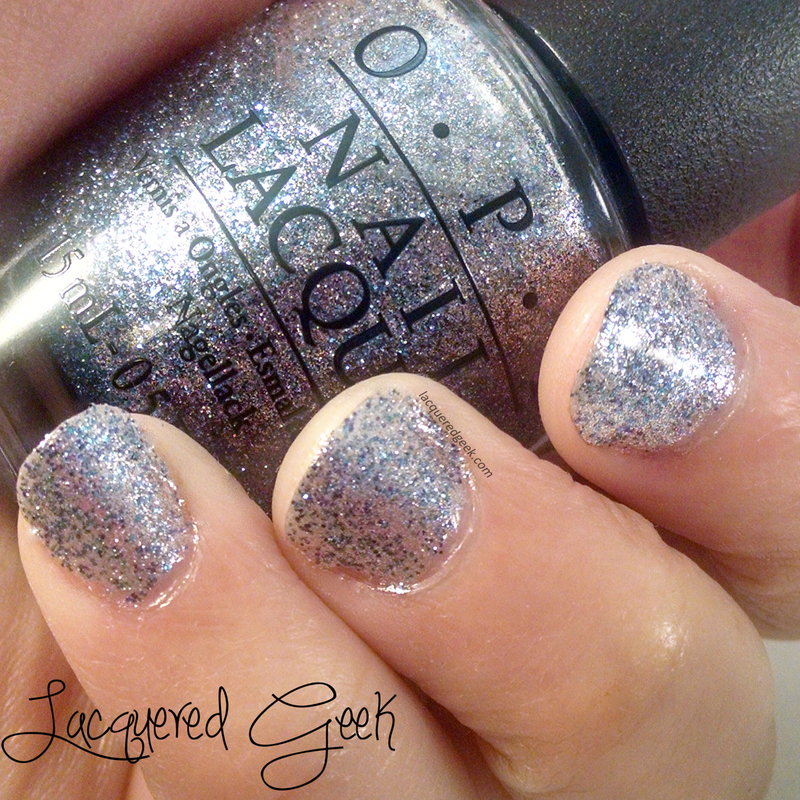 When OPI first announced the 50 Shades of Grey collection, I was not interested in it at all. It is completely possible that my opinion of the collection was jaded by my dislike of the book series. But the colors just did not look very original. 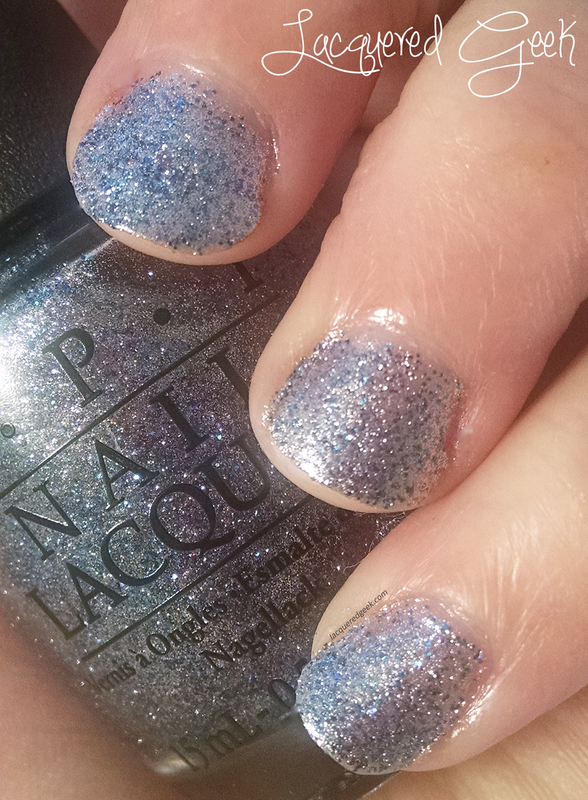 But then I saw some swatches, and I changed my mind about one of the polishes - "Shine for Me." It did not look anything else that I have in my collection, and I could not wait to try it. 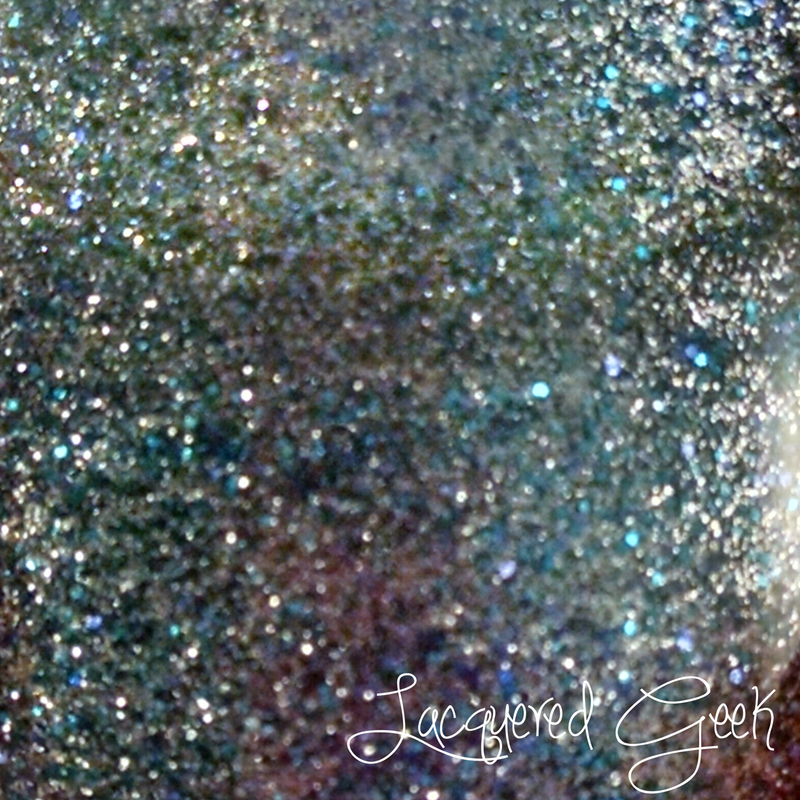 Shine for Me is made up of silver and blue microglitters. 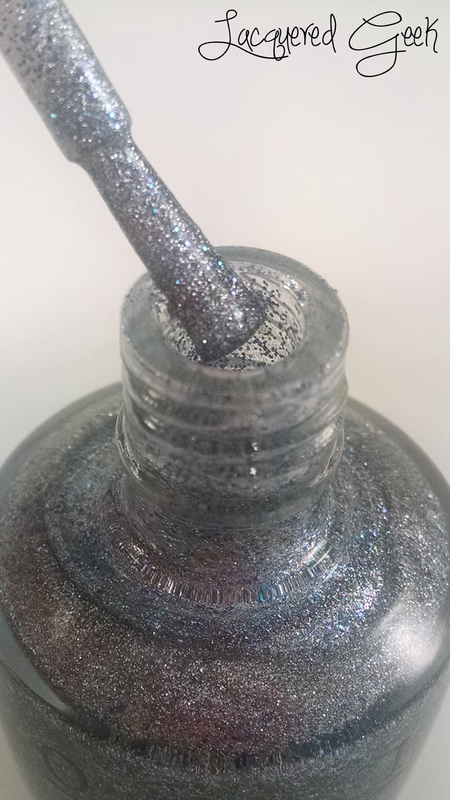 I wore 3 coats to achieve opaqueness, and it ended up looking a bit like a foil polish due to all of the glitters. You could also layer it over another polish for a different look. 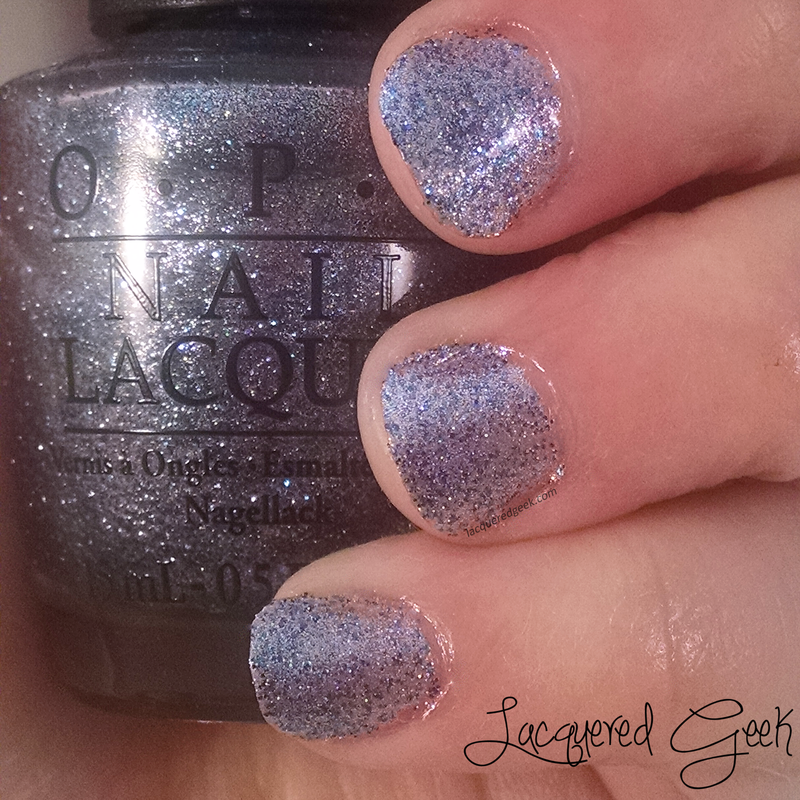 So, what did you think of the 50 Shades of Grey collection from OPI?